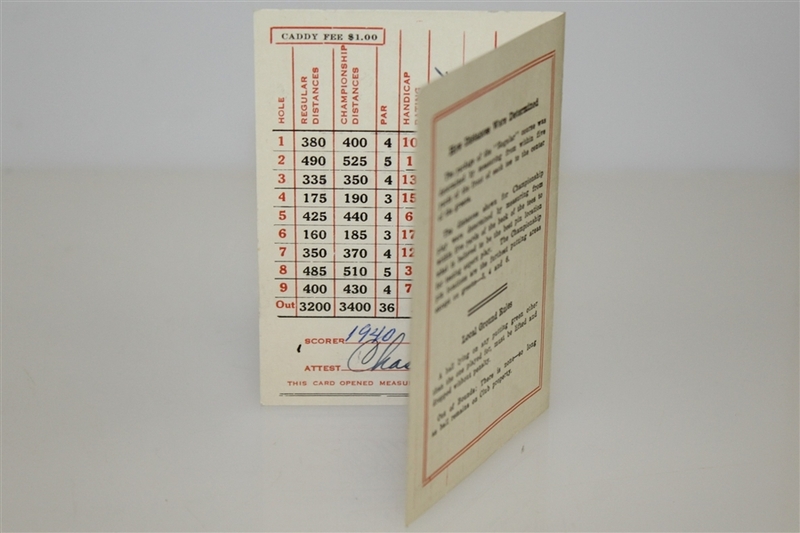 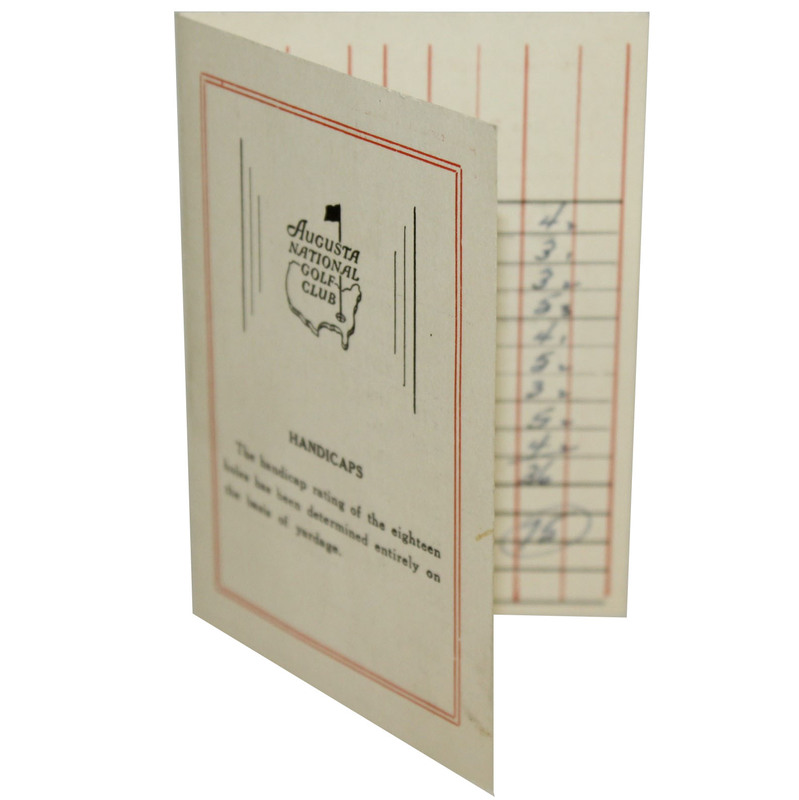 Offered here for bidders is a vintage 1940's Augusta National scorecard. ANGC was founded by the legendary Bobby Jones and is the home of the Masters Tournament every year. 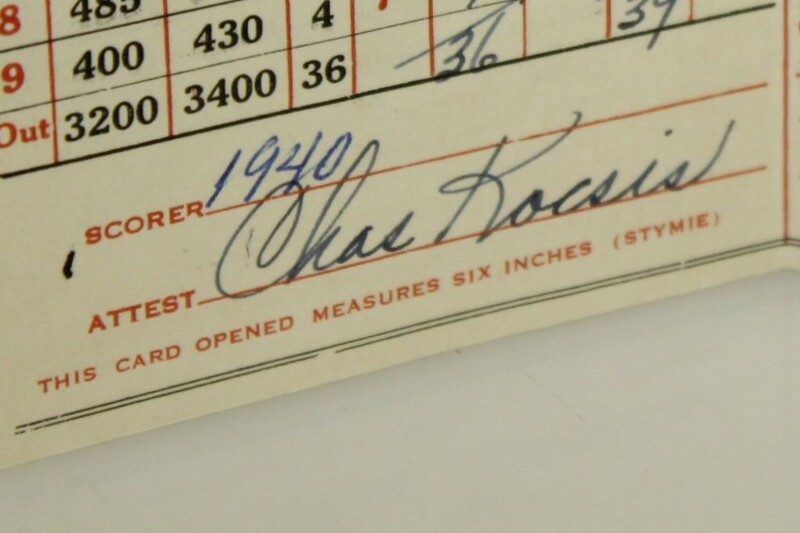 This scorecard is signed and scored by Charles "Chuck" Kocsis. 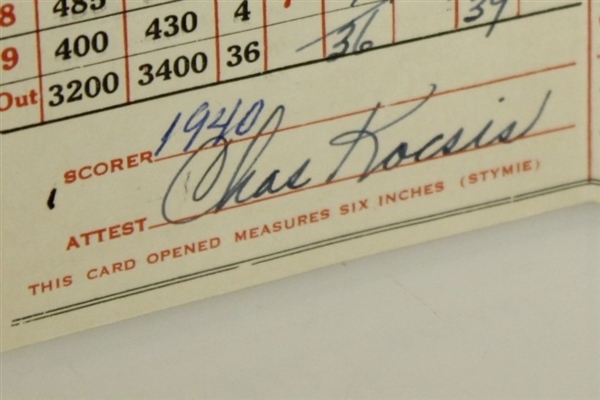 Chuck had a very successful college and Amateur career. The Golf Association of Michigan voted Chuck Kocsis the Michigan amateur golfer of the century and he was a member of the first class elected into the Michigan Golf Hall of Fame. 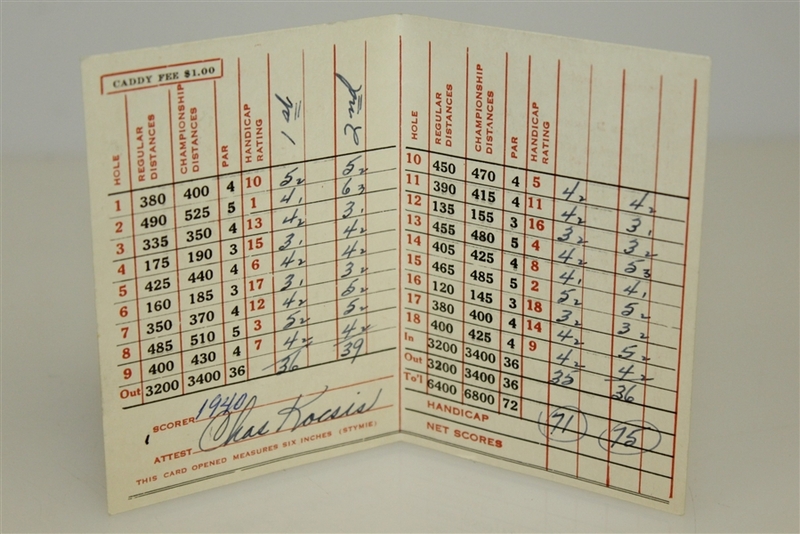 He then went on to play as a low amateur in the 1952 Masters and the 1936 and 1951 US Open.